Trebuchet could not countenance summer without the Cambridge Folk Festival. At the curational helm of 2018’s vaunted cross-pollination with Newport folk fest is Rhiannon Giddens, whose Baez-like vocals go a fair way toward making that link in and of themselves. Cambridge Folk Festival celebrates over five decades of presenting the most exciting and critically acclaimed talent in the genre. With the best ever line-up, tickets are available now from www.cambridgefolkfestival.co.uk Get in there quickly though – in previous years tickets have sold out in advance. The UK’s most famous folk festival once again returns to its iconic home and the picturesque grounds of Cherry Hinton Hall between 2-5 August, for four days of outstanding music from legendary acts and breakthrough artists alike. This year’s highlights include acclaimed indie-folk sisters First Aid Kit, the legendary punk icon that is Patti Smith, arguably the UK’s best current female protest singer Grace Petrie, BBC2 Folk Award winning youngster Brighde Chaimbeul, Grammy winning John Prine, and for a bit of light relief Punk Floyd who need no introduction. Cambridge Folk Festival 2018 is very proud to announce a historic twinning with the legendary Newport Folk Festival. This partnership will herald the start of a new transatlantic artistic relationship that will allow both festivals to share ideas, experiences and indeed artists between these two festivals that have grown up together since the 1960s. Hailing from North Carolina, this year’s guest curator is Grammy Award winning songwriter, multi-instrumentalist and founding member of Carolina Chocolate Drops, Rhiannon Giddens. Fresh from her recent UK tour, Rhiannon is set to bring her vast knowledge of the most cutting-edge talent and respected musicians on the scene to the 2018 line up. Welcoming Rhiannon’s role at this year’s Festival, Cambridge Operations Director, Steve Neil Jones said: “We are very excited about this year’s Festival with Rhiannon Middens taking over the role of Guest Curator and our plans with Newport Folk Festival taking shape we are certain that this year will be a unique one for Cambridge Folk Festival. We are also very proud to be recognised for our work with developing artists with a UK Festival Nomination in this field, Cambridge has and will continue to be an important platform for the development of young folk talent and we are committed to growing this part of the Festival even further for 2018. 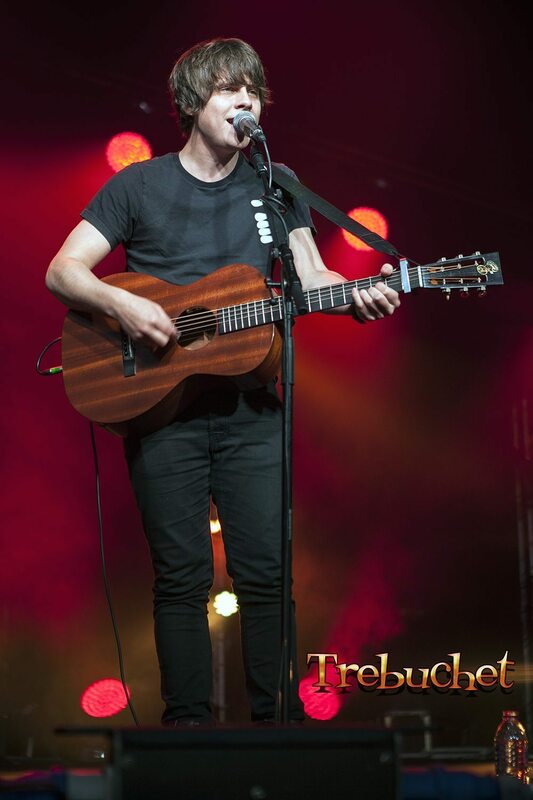 Previous headliners include Nick Cave, Laura Marling, Jake Bugg (pictured), Ray Davies, Van Morrison and more. 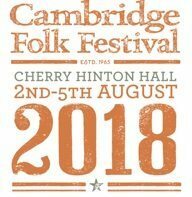 Cambridge Folk Festival is promoted by Cambridge Live with support from Cambridge City Council. Ticket information: Full Festival ticket: £175.50; Day tickets: £29 (Thu), £62 (Fri), £72.50 (Sat), £72.50(Sun). Photos: Copyright Carl Byron Batson. Not to be reproduced without express prior written permission.